Hello everyone! It's Gracie. 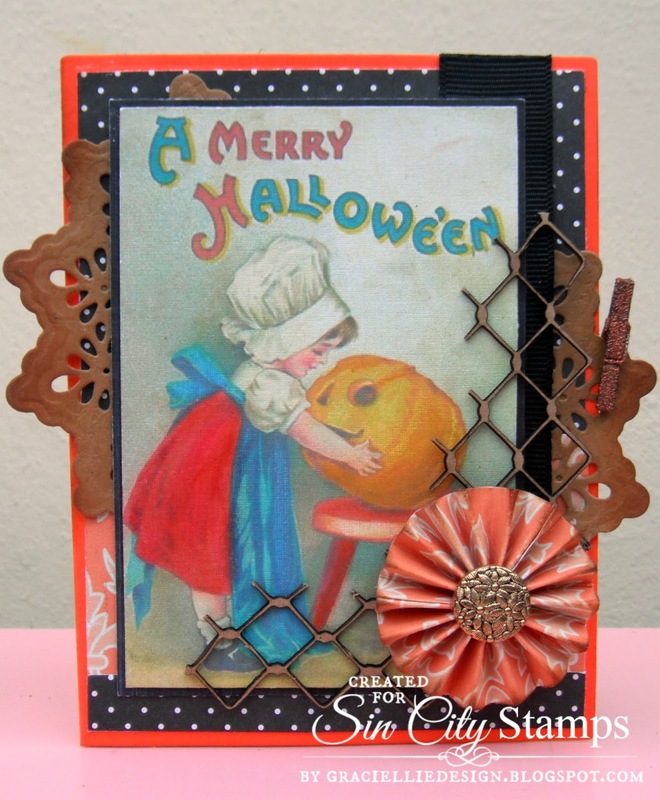 Welcome to my final post for this month's amazing partnership between Sin City Stamps and Altered Pages. 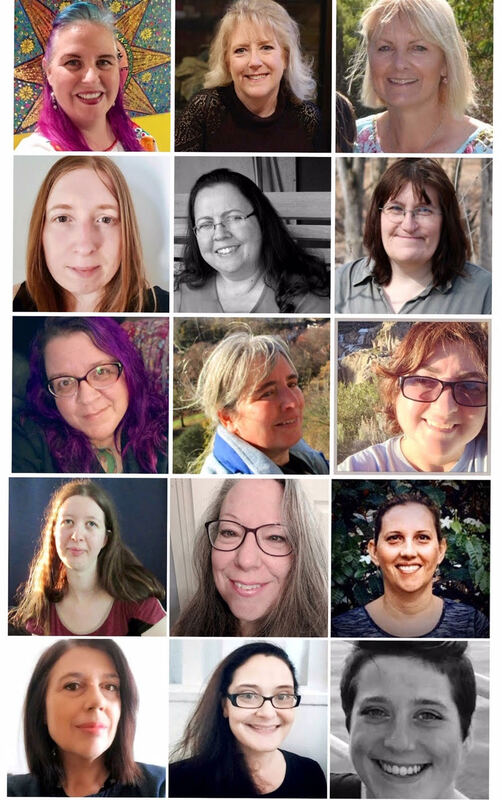 We have certainly had so much fun creating our projects, and I hope we've inspired you with everything we've shared too! 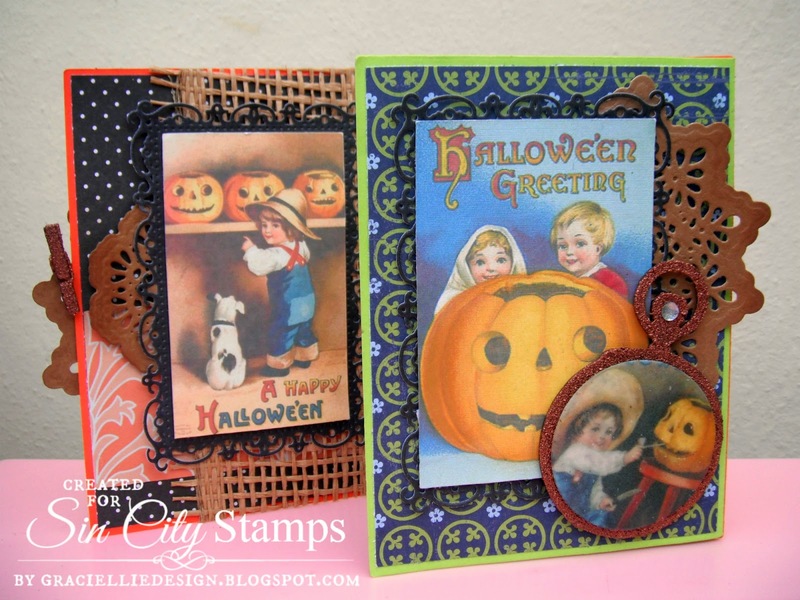 Today I have a vintage, double fold Halloween card, using sweet Halloween images from Altered Pages, and chipboard elements from Sin City Stamps. As you can see, every side of the card was matted and embellished, except for one, which was left that way in order to write a message to the recipient. To learn how to make this card please check out my Snapguide below. Just click on the Start the Guide button and follow each step. 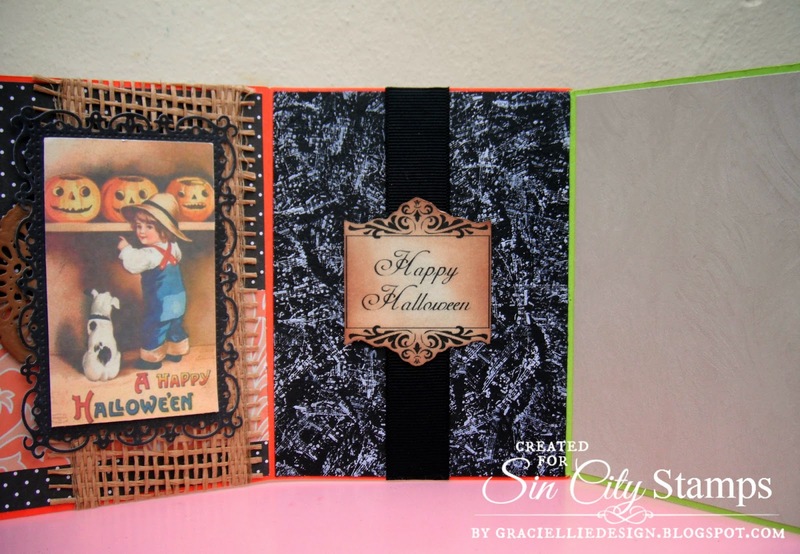 Check out How to Make a Vintage Double Fold Halloween Card by Gracie CH on Snapguide. 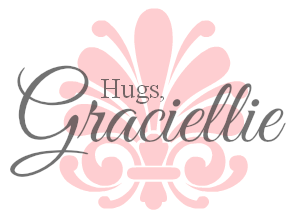 If you have any questions about this project, don't hesistate to contact me through a comment here or at my blog. I do hope you enjoyed seeing my card. 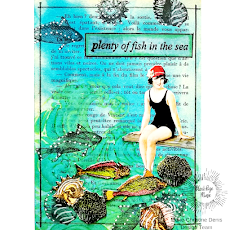 If you'd like to make a card like this, and would like to purchase the products I used, click on the linked supples listed above. You're very welcome Robin. Thanks so much! First, awesome project!! Second, what a cool thing to use, that Snapguide. You showed 18 pictures without taking up a ton of space. Wonderful! Thanks! I know right! Try it out, you'll love it. Very cute! I only like Vintage halloween !